Fiction by Michelle Ann King: New Short Story Collection! 'Possibly Nefarious Purposes and Other Stories' Available Now! New Short Story Collection! 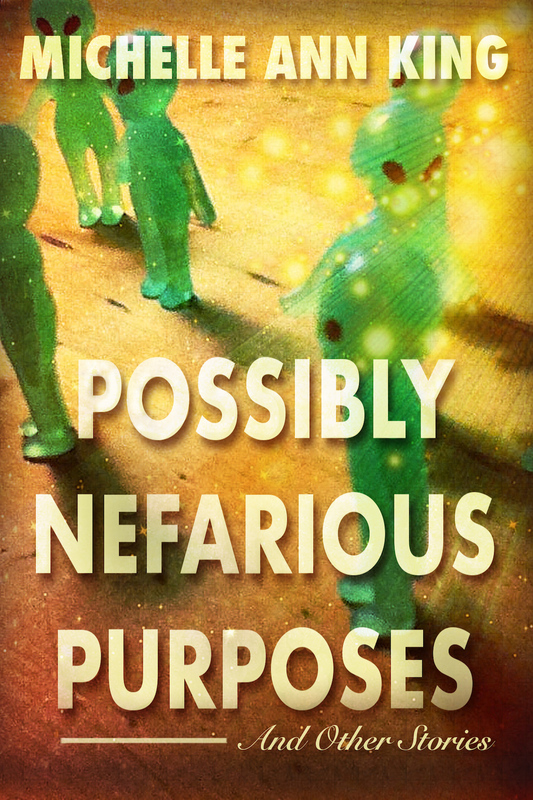 'Possibly Nefarious Purposes and Other Stories' Available Now! Very thrilled to say my second short story collection, Possibly Nefarious Purposes and Other Stories is available in ebook now! Come for Christmas dinner at the house of a little girl with very particular interests; let the residents of an old folks’ home show you how to save the world with self-hypnosis; celebrate (or mourn) the death of a supervillain; consult with Clarity, who can tell you why things happen as they do (if you really want to know); and learn how to score points for decapitation in a never-ending game of life and death. Featuring all of the above plus protective aliens, bickering ghosts, gangster vampires, robot ninjas, and floods of man-eating hamsters, the second collection of stories from the wicked imagination of Michelle Ann King will horrify, amuse, and chill you in turn.